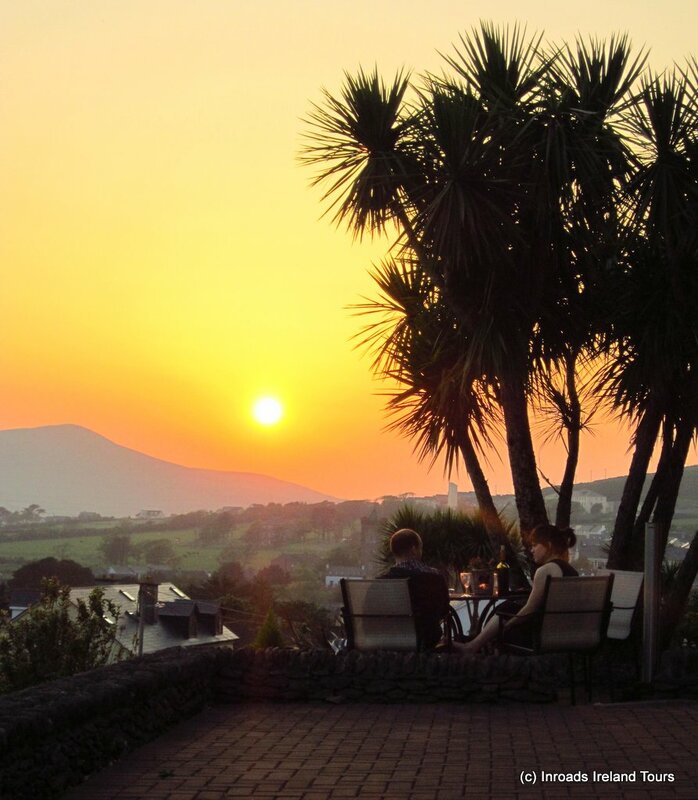 Make Summer 2019 your year to explore the real Ireland! We'd love to have you along on one of our back roads, small group tours and show you the very best of Ireland. Choose from our three wonderful one-week tours. For a 2 or 3 week adventure, tours can be combined and you get you a Combination Discount (see below). Prices are in USD and based on double occupancy. For solo travelers, there is a $460 supplement. Book now to ensure your spots. With the small group size (14 - 16 people), tours sell out quickly. Combination Discount: Would you like to travel for 2 or 3 weeks? Enjoy our Combination Discount when you link tours together. Ireland's mildest climate can be found along the southwest coast where the Gulf Stream helps create micro-climates and palm-like trees can thrive! Ireland's coastal temperatures rarely change more than 18 degrees Fahrenheit (10 degrees Celsius) between January and July despite being on the same northern latitude as Newfoundland & Labrador, Canada. The Atlantic Ocean absorbs heat in the summer and releases the heat in the winter to keep the coastal temperatures from big fluctuations. The 1st non-stop transatlantic flight from North America landed in Ireland! In 1919, Alcock & Brown left St. John’s, Newfoundland, Canada, flew non-stop, and landed in a bog near Clifden, Ireland. In the picture, you can see the wheels got stuck in the bog thus causing the nose of the plane to go down. 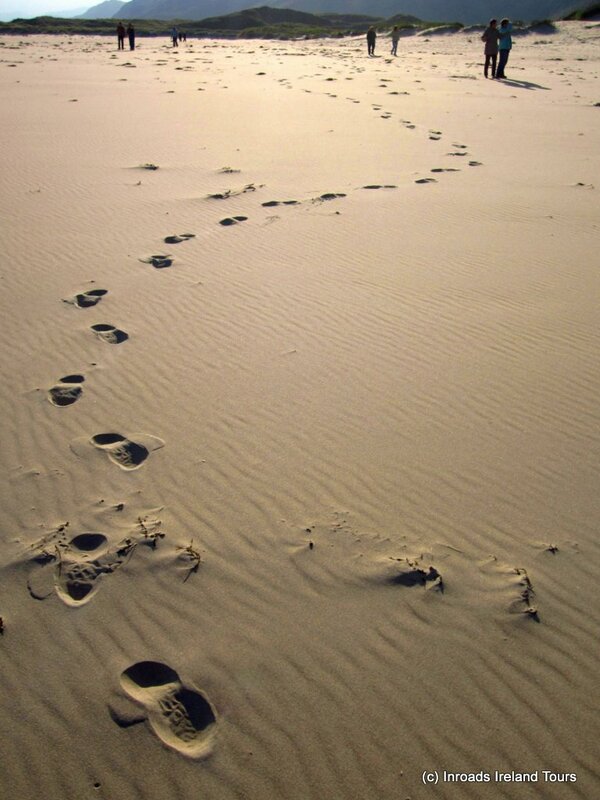 In the historical fiction book, Transatlantic by Irish author Colum McCann, the story begins with Alcock & Brown flight! Weathering has reduced them to 527 meters or 1,729 feet. On a clear day, you can see the high points of the four ancient provinces of Ireland. 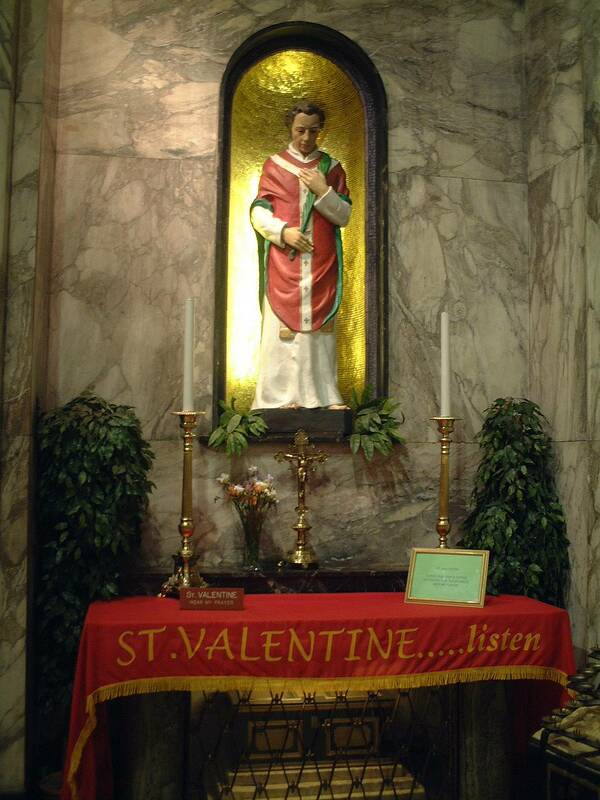 Did you know that St. Valentine’s remains are in Whitefriar Street Church in Dublin? Couples come every year to have their wedding rings blessed on Valentine’s Day. Valentine was sentenced to die and while imprisoned, he befriended the jailer and his blind daughter. On the day of his execution, Valentine wrote a card and told the jailer to give it to his daughter after his death. Upon opening the card, the girl’s blindness miraculously was cured enabling her to read the message within, ”From your Valentine." Ever wonder where the word 'honeymoon' comes from? In Ireland, an abundant supply of mead (a delicious sweet beverage brewed from honey) was gifted to newlyweds on their wedding day to drink for the cycle of one full moon (one month). Many believe this is the origin of the term 'honeymoon'! Mead is still often served at Irish weddings & is used to toast the happy couple. The wee town of Lisdoonvarna (pop: 800) comes alive each September with its annual Matchmaking Festival. The festival’s origins date to when farmers were so busy working the land, they hadn’t gotten around to finding a wife & having kids to inherit the land. So a local matchmaker was called to intervene. Now the festival is a month long event with women & men arriving from Ireland and faraway lands. Willie Daly is the man you want to see if a match is what you need. His family goes back three generations in the matchmaking business with hundreds of successful matches to date! Did you see the 1997 film, The MatchMaker? It was filmed in the town of Roundstone in western Ireland & is an overnight town on our Go West tour. 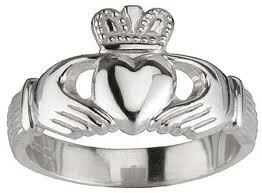 The Claddagh Ring from Ireland represents love, loyalty, & friendship. The ring popularly worn by girls indicates whether or not her heart is taken. If the heart points inwards then prospective suitors know her love is taken. If the heart points outwards, the girl is open to new romance! Inroads Ireland's Facebook page is a fantastic place to get more frequent information about specials, deals, events, Irish culture, traditions, and news. Plus we have photo albums for each tour: Go South, Go West, and Go North that we love sharing with you. If you don't have a Facebook account, no worries. You can still read the posts and check out the photo albums. Inroads Ireland has a YouTube channel where we have a variety of short videos available including what to pack for a trip to Ireland, how to use electrical items in Ireland and the U.K., storytelling about Irish myths and legends and interviews with owner and tour designer, Phil Ryan. You can Subscribe to the channel and then you are automatically notified when new videos are added! Hallloween's Irish Roots. Click here to watch a TV inteview with Phil Ryan discussing the Irish origins of traditions like trick-or-treating, wearing costumes, and carving pumpkins. Irish Food & Drink. Click here to watch the NBC15 evening newscast TV interview with Irishman Phil Ryan discussing about Irish food and drink. As part of the weekly segment "Teach Me What You Know, " travel expert and Director of Tours, Carolyn Janette, shares tips for exploring a new city and getting the local perspective. Listen to the interview. Carolyn Janette (Owner and Director of Tours for Inroads Ireland Tours) talks with Veronica about her solo travels to 16 countries and discusses what every woman should know before adventuring off solo. Listen to the interview. Phil Ryan (Owner and Tour Designer for Inroads Ireland Tours) regales listeners with his entertaining stories of Irish myths and legends. Listen to the interview. Phil Ryan (Owner and Tour Designer for Inroads Ireland Tours) joins the Irish rock band, "The Kissers" to discuss Irish music and share Irish stories to get everyone in the St. Patrick's Day spirit! Listen to the music and interview. Please note: The audio recording begins with 2 min. 30 sec. of Irish music by The Kissers and then the interview starts. While in Ireland, you’re more likely see cabbage paired with a thicker cut of bacon or a big piece of ham. It's believed that when the Irish came to America, brisket (which you make corned beef from) was a cheaper cut of meat than bacon or ham. 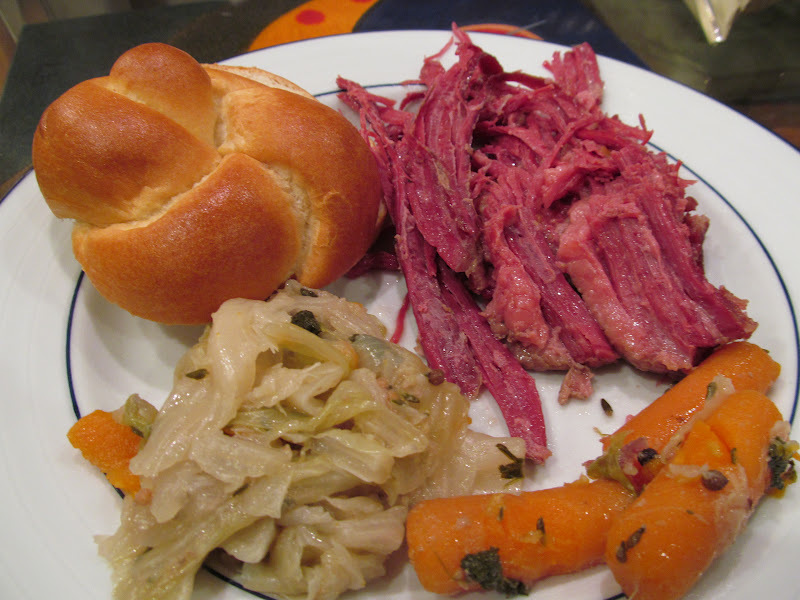 Thus, corned beef & cabbage is more of an Irish-American tradition! 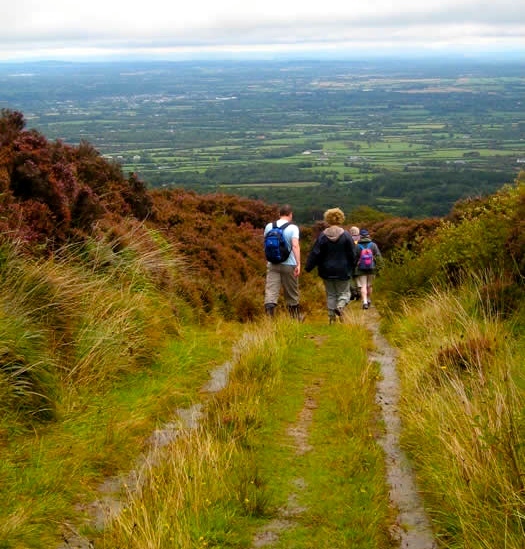 Small groups, back roads, authentic Irish experience. The very best way to explore Ireland! Subscribe to our newsletter to receive the latest news, specials & happenings at Inroads Ireland. Thanks! Your message has been successfully sent! Ooops! There was an error sending your message. We will not share your personal information with any third parties.